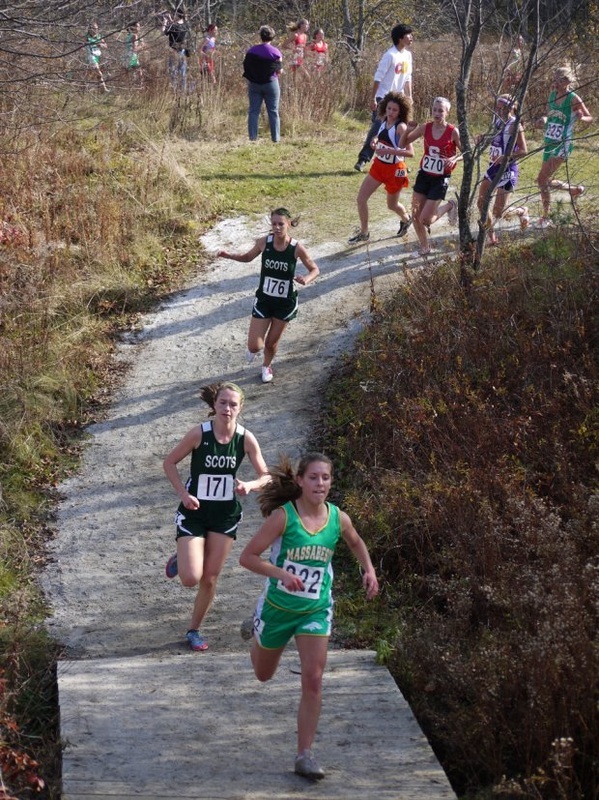 With four top 20 finishers, Bonny Eagle ran away with the state meet at Belfast Saturday. 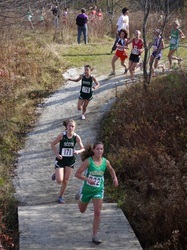 Here's a link to Glenn Jordan's account in the Portland Press Herald, and some photos courtesy of the website, me.milesplit.com. 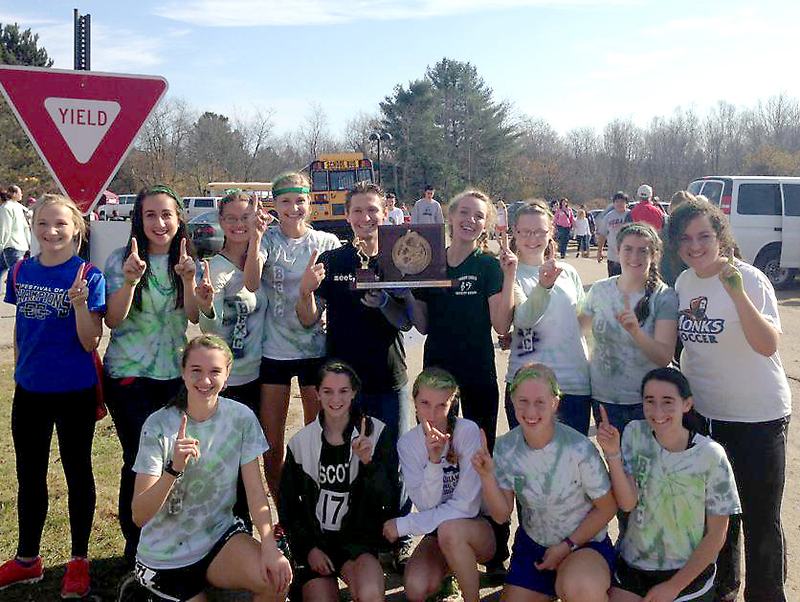 With an undefeated record, a mention in the sports pages of the Portland Press Herald, and a number one ranking in Class A, the Bonny Eagle girls cross country team is among the favorites to bring home a state championship in Belfast this Saturday. 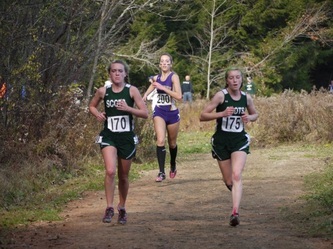 In late September, the team got to prove that all their hard work is paying off by running head to head against the best runners in the state in the Festival of Champions in Belfast. 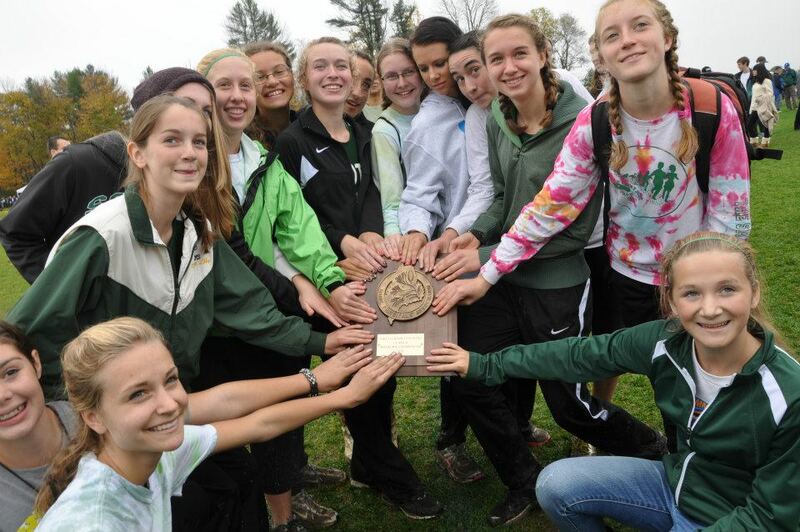 The girls proved that they are number one in Division A, and a close second in the state. “Everyone did amazing, with all 11 of the girls that ran getting a personal record, which is very impressive," says senior captain Gaelyn Lindauer. 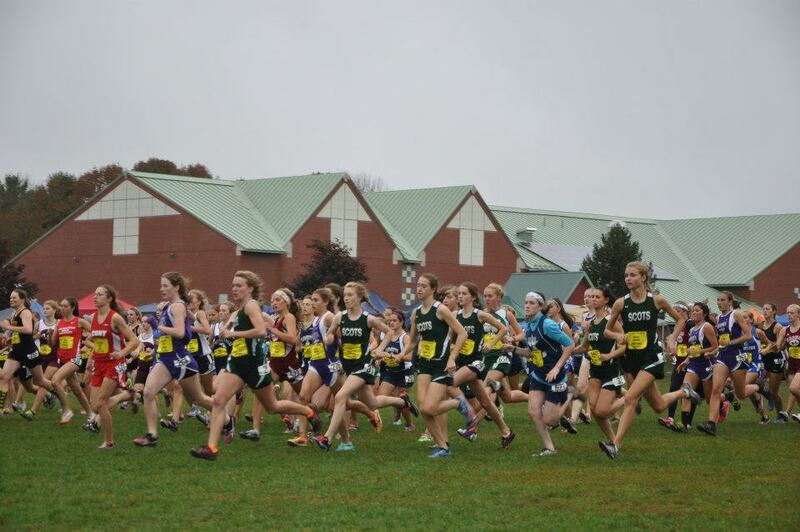 “Even though it was cold, muddy and rainy, it was probably the most fun course I have ever run during my six years running cross country because everyone did so well,“ said Audrey Weyand, a junior. 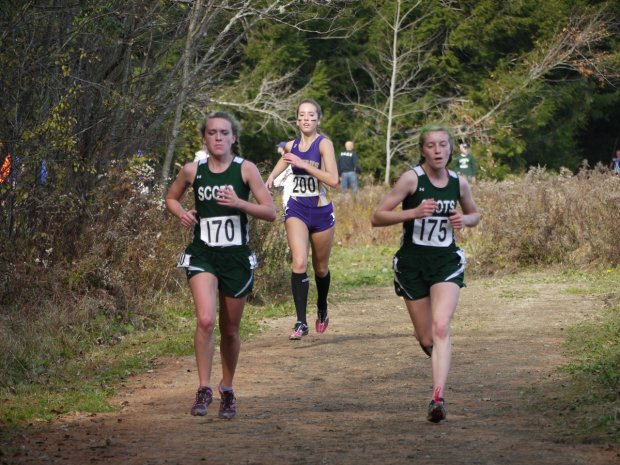 Kyaunna Libby, a sophomore, believes the biggest competition for the team this year are the class B teams: Camden Hills and Mount Desert Island. Kyaunna has only positive things to say about the coaching as well. “Coach Strout is very encouraging and makes everyone a personal workout. He is very dedicated and devotes a lot of his time make sure we will be prepared,” she says. In her ‘runner’s log’, Kyaunna has kept track of how many miles she has run since the summer, a total of over 300 miles. 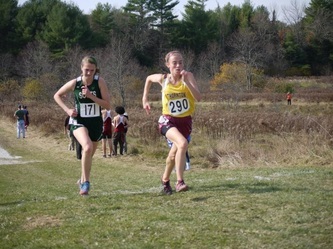 At the meet two weeks ago where the BEHS girls ran against Gorham, Scarborough, Westbrook and Windam, Samantha ran a new personal record for the 5K of 18:42, a time that qualifies her for the National Elite First Team, ranking her nationally with all the top runners from around the country. 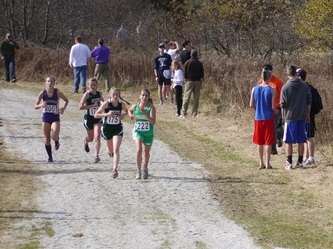 Along with Samantha, junior Mary Szatkowski’s race time of 18:46 places her on the National Elite Second Team. 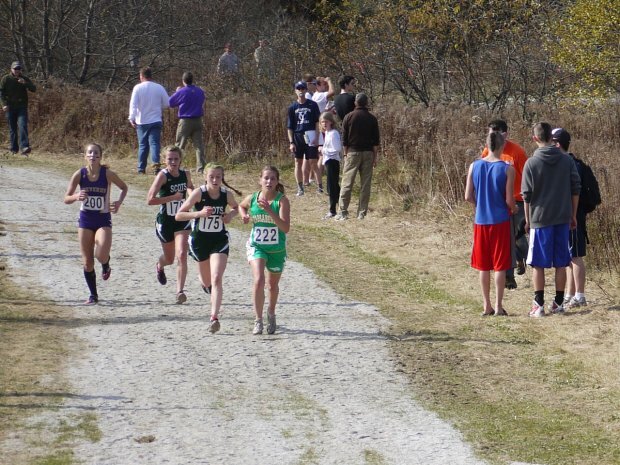 Keep a look out for these girls as they are coming closer and closer to bringing home a state title!